The Reason I Will Always Be Gas Safety Vigilant – Win a Family Day Out. 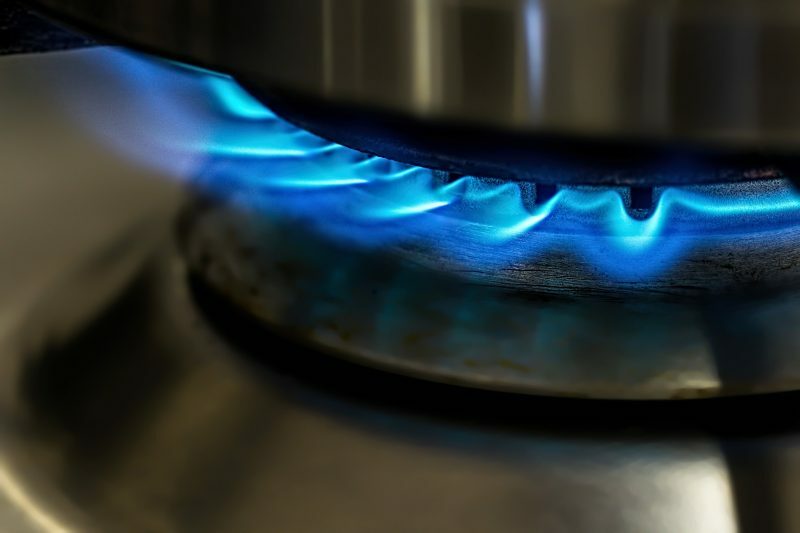 Ahead of this year’s Gas Safety Week, Gas Safe Register is reminding families of best practice when it comes to ensuring gas appliances are safe and so I wanted to share my story of carbon monoxide poisoning with you. 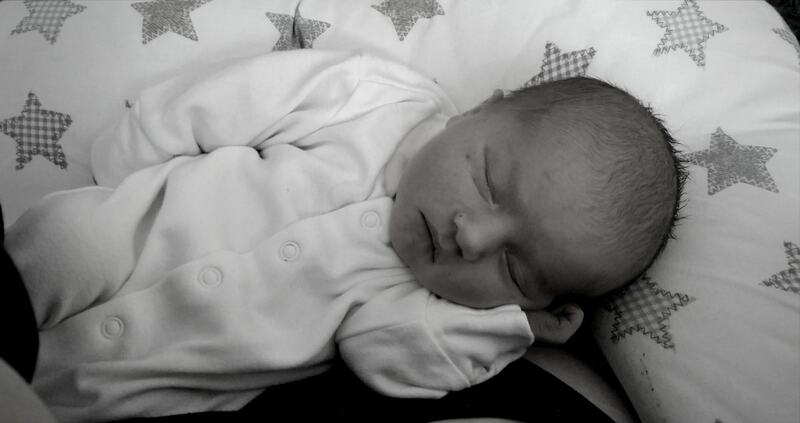 When Littlest was two weeks old, our boiler broke. That was enough to provoke a fair amount of anxiety all by itself. The last thing you want when you are in the post-birth haze, with a tiny baby and a two-year-old, is no hot water and no heating when it is freezing outside. We did not have any boiler maintenance and had not looked once at it since we moved in 18 months before – it had always just worked. Why would we? Gas safety was the last thing on my mind with two babies in the space of two years. We had to call an emergency engineer and figure out how to open the loft. The first thing the engineer said to me after looking at the boiler for ten minutes was “Do you have a carbon monoxide alarm?” Rather sheepishly, I replied no, we didn’t. His answer filled me with dread. It turns out that our boiler had been in a bad way for some time. It had been leaking into the ceiling and due to a high wardrobe with things piled on top, we had not seen the water damage. When I removed the packages on top, there was a huge brown stain where the boiler had been leaking for months, if not years. The engineer was amazed that the boiler had worked up until that point. He said that it had likely been leaking carbon monoxide (CO) for some time. The only reason we had not felt its affects was because it was in the loft. I was struggling with a new-born with severe colic and a toddler just about to be diagnosed with autism. I was surviving on very little sleep and had been breastfeeding and pumping every other hour, day and night. Mentally and physically exhausted, I was faced with the realisation that I might have been poisoning my babies, due to my own negligence – it was too much. After a kind word from the engineer and a hot cup of tea, eventually, I regained my composure. I immediately ordered two CO alarms and started requesting quotes for a new boiler. The old one had been patched up to give us hot water but the engineer warned that it would need replacing “as soon as physically possible” and I was not going to take any chances again. Shortly after, we had a brand new, fully-functioning boiler with a ten-year guarantee. Needless to say, it has regular maintenance and gas safety checks. In celebration of Gas Safety Week, which this year is focusing on family safety, you could win an amazing day out with Gas Safe Register. Simply scroll to the Rafflecopter below to learn how to enter. Did you know that nearly half (46%) of the nation’s homes currently don’t have a CO alarm? This could leave more than 12 million households across the UK at risk from CO poisoning. When it comes to staying safe at home, three-quarters of people agree that they worry about safety, and spend time ensuring that their home is as safe as it can be. However, British families are more likely to fit a smoke alarm (83%), double glazing (76%) or window locks (70%) than have a CO alarm (54%). CO poisoning is known as the ‘silent killer’ as you cannot see, taste or smell it. A CO alarm can alert you to the presence of CO. As CO is odourless and colourless, this is essential. Check appliances annually – an annual gas safety check reminder service can be found via www.StayGasSafe.co.uk. Currently only 54% of people get annual gas checks. Know the symptoms of carbon monoxide poisoning – although carbon monoxide (CO) has no smell, taste or colour, symptoms of poisoning include: headaches; dizziness; nausea; breathlessness; collapse and loss of consciousness – all of which can be mistaken for something else. Only employ a qualified Gas Safe registered engineer – you can find a local registered engineer to carry out gas work in your home by calling Gas Safe Register on 0800 408 5500 or by visiting www.GasSafeRegister.co.uk. Gas Safety Week 2017 is taking place from 18 September. You can register your support for the Thunderclap here or search #GSW17 on social media. This Gas Safety Week, Gas Safe Register is looking to create a video to raise awareness about CO poisoning and the best ways to look after gas appliances. If your child would like to take part by acting out the symptoms of CO poisoning, or talking about gas safety in general, please email a short landscape video to press@gassaferegister.co.uk by Wednesday 13th September. Keeping our loved-ones safe is highest on everyone’s list of priorities. However, spending quality time with them probably comes a close second. You could be in with a chance to win £100 voucher to spend on a family day out. Simply enter via the Rafflecopter below. Please note, terms and conditions apply. You can read them here. Please note, this post is in collaboration with Gas Safe Register. We have a CO2 alarm and our boiler serviced annually. I must have done something right, my daughter is 27 this year. I liked to think I helped her become independent, aware of safety online and on the city streets, and how to read a bus timetable. Annual gas and electric safety checks and regular check the smoke alarms. Well I work for Ambulance Service, I see so much everyday, I think it so important to keep a first aid kit at home! YOu never know when you will need it. Im hot on carbon dioxide, checking, curtain chords, everything. Make sure my landlord keeps on the ball with his annual gas safety certificate. We have a carbon monoxide detector and a smoke alarms. We get a boiler service and have a carbon monoxide detector. We have smoke alarms, Carbon Monoxide alarms and all our appliances are checked yearly. Also, make sure that electric cables are either hidden or are safe from children. We have smoke alarms and a co2 detector. Thanks for this lovely giveaway. We have carbon monoxide alarms and smoke alarms. I have smoke alarms, safety gates, safety locks a C02 detector and hope I’m safety conscious, always on the lookout for new tips and tricks and story’s like this one encourage and inspire us to all look again to make sure we’re doing what needs to be done. CO2 alarm. But how often are you meant to replace them? The batteries seem to last a few years. We make our home look occupied at all times, we ensure that our driveway and entry points to our home have adequate lighting, we installed motion sensor lights as well as an alarm system and we have a carbon monoxide detector and a smoke alarm. Smoke alarms and a carbon monoxide detectors which we get checked regularly. smoke alarms and taking keys and phone to bed at night!! We are council tenants and our local council do a full check of our boiler, gas fire and gas supply/meter every year, including a carbon monoxide test. We don’t actually use the gas fire in any event as we have central heating but they still check it anyway. We have a co2 alarm and smoke alarm. We have an annual boiler check too. Good tips – we have our boiler serviced every year. Same as many, co2 alarm, smoke alarm and regular gas/boiler checks. We have a CO2 monitor and smoke alarms. Our house doesn’t use gas, and we do have smoke alarms. We have a carbon monoxide alarm and smoke detectors, im always checking the batteries haven’t ran out. We have our boiler serviced regularly and have smoke detectors attached to the mains electricity! Smoke and carbon monoxide alarms with regularly checked batteries! We have CO alarms at various points throughout the house and a new boiler. No gas fire or anything so that’s about all we can do! I have smoke alarms and CO2 alarms. i also have a tracker on my daughter’s phone to ensure I know where she is. We also have a house alarm. We have smoke and Co2 alarms, we have taught the children when and how to call for an ambulance and they know how to unlock the door to escape in the event of a fire. We have a Co2 alarm and regularly check the smoke alarms – usually through bad cooking though! we have a carbon monoxide alarm. it saved our lives in our last home. generally keep family safe by knowing where everyone is – for gas safety we have detector and also have practised emergency evacuation with the kids – hoping we’ll never need to evacuate for real but want them to know what to do in an emergency. We keep the boiler service up to date, have carbon monoxide alarm etc. We have a CO2 alarm, fire blankets and easy exits too. We have a CO2 detector! I have a bit of an obsession when it comes to safety. Fire and carbon monoxide alarms are a must in my house. Our boiler needs replacing soon so that’s a next box that needs to be ticked on my list. We have numerous smoke alarms and C20 alarms too. I keep all the alarms well checked and maintained and in general barely let them out of my sight! Smoke alarms and CO2 alarms that are tested regularly. Safety is the most important thing. We have two smoke alarms in our house as well as a carbon monoxide alarm. We also have annual checks. We too had a dodgy boiler in the past so can’t be too careful. We have c02 detectors in the hall by our boiler, my grandaughters have them in the hall and their bedroom and livingroom. Its so good we have stuff like this now thinking of years ago how many people prob lost children to something awful like this and no idea. Thats why l love the internet you can get so much iformation now and blogs of other moms are amazing because its always nice to know you doing things somewere near right, even as a gran now l like to keep up on whats going on and so grateful for all the information thats out there!. When I was 13 I lost my uncle and aunt due to carbon monoxide poisoning. Ever since I’ve been paranoid about C02 and we’ve got an alarm in the house. It went off in the middle of the night a few years ago when the kids were very young and I knew we just had to get out of the house quickly as it affects children straight away. My husband suggested that we switched the boiler off and opened all the windows and we’d be ok, but I said that there was no way the kids or me were staying it was too much of a risk. We woke the kids up, got them in the car and phoned my mum in law and asked if we could stay over. Luckily when the plumber came to check the boiler the following morning he found that it was perfectly safe. It turned out to be a fault on the alarm. But it’s better to be safe than sorry. I’d never be without a CO2 alarm. They don’t cost much but they can save lives.